_MAL9724.jpg, originally uploaded by Michael A. Lowry. Sunday afternoon I spent a few hours bouldering at Klättercentret. I wasn't really in top form, but I had a good time anyway. My usual Tuesday & Thursday climbing routine has been thrown off recently. This week, it's more of the same. I'm going dancing most Tuesday nights at Gröna Lund, where the friendly folks from Stockholm Salsa Dance have arranged salsa dance evenings. And Friday, there's a boulder open competition at Karbin, so I don't want to climb the day before that. So this week, it'll be climbing on Monday, Wednesday and Friday in addition to the climbing on Sunday. 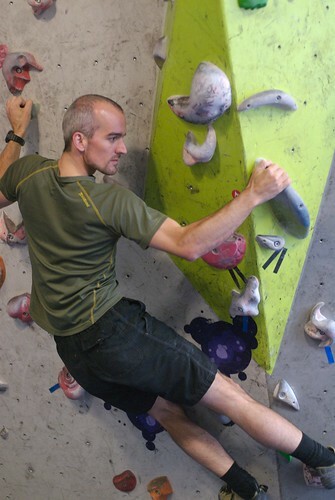 Here are all 46 photos from Sunday's bouldering.